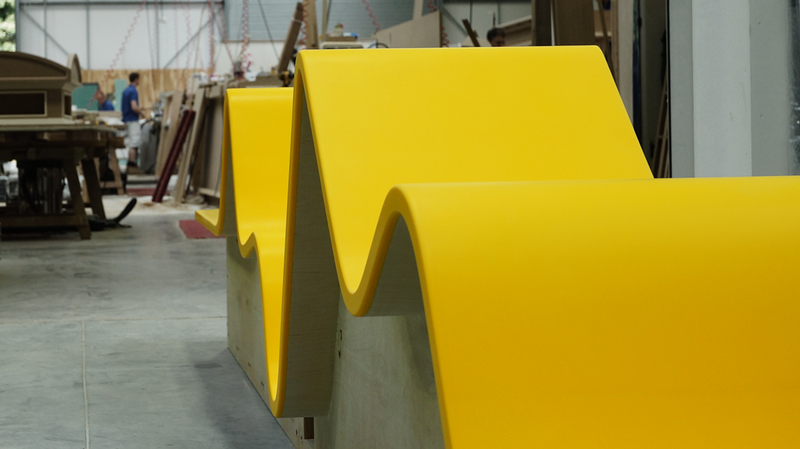 Our state-of-the-art manufacturing facility is fully equipped for the design and production of bespoke solid surfaces, from beautiful bars and counter tops through to one-off furniture items and even exterior cladding. Whether you are looking for a one-off design with exceptional quality, a quirky statement piece or a high-end look on a cost-effective budget, we can work with you to provide a solution. 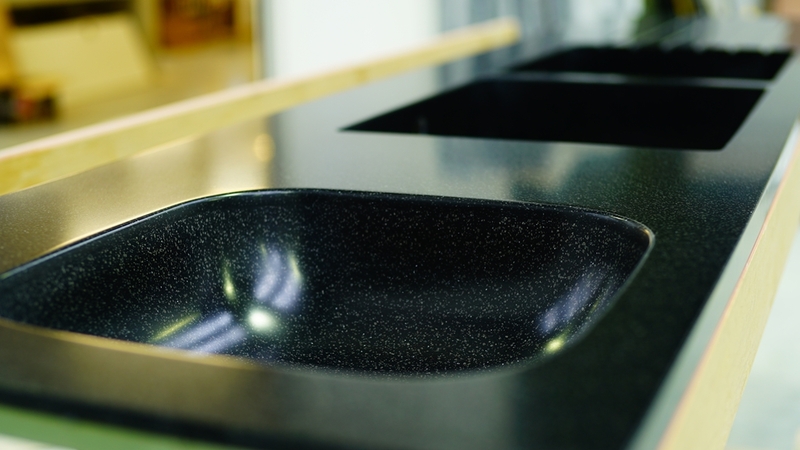 Stunning to look at and luxurious to touch, Corian is available in a wide range of colour, pattern, tone and translucency options and is virtually seamless. Krion is exceptionally flexible and durable, with Euroclass B1 fire resistance as standard. 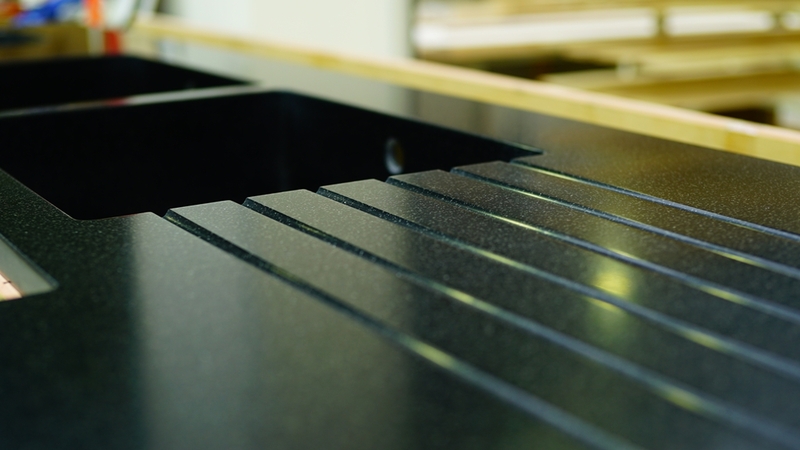 Made of two-thirds natural minerals, it is an excellent alternative to Corian for high-end installations. 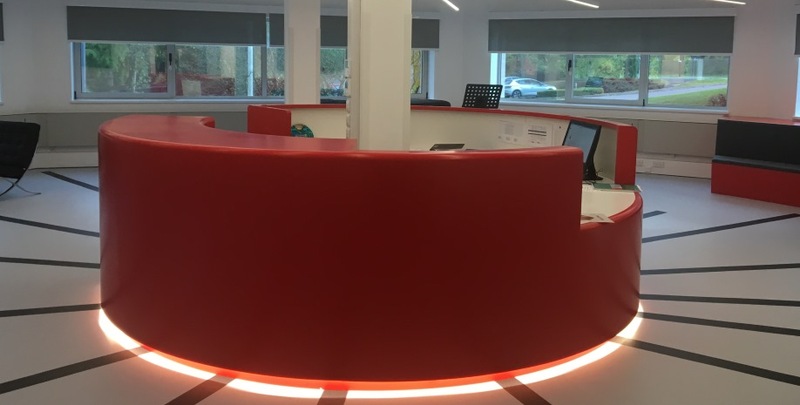 With similar properties to KRION and Corian, including renewability, strength, luxury and modern look and feel, HI-MACS is an excellent alternative especially where budget is a key priority.